...a cassette case... That's the only case we're talking about here. 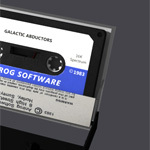 Since my previous post for "Galactic Abductor", I've now modeled up the case for it as well. The insert came from an online archive housed at the awesome World of Spectrum site. 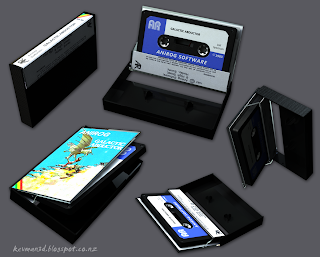 The cassette label itself I drew up in Photoshop based on images I found on google. The hardest part of that cassette label was finding that funky font for the AR - but in the end, daFont delivered one that was almost identical. As you'll see, I've changed the base colour of the cassette itself. It was a light grey, but I decided I'd swap it to a darker black instead which I think feels a little better. I can still easily swap it back, but I kinda like it this way. 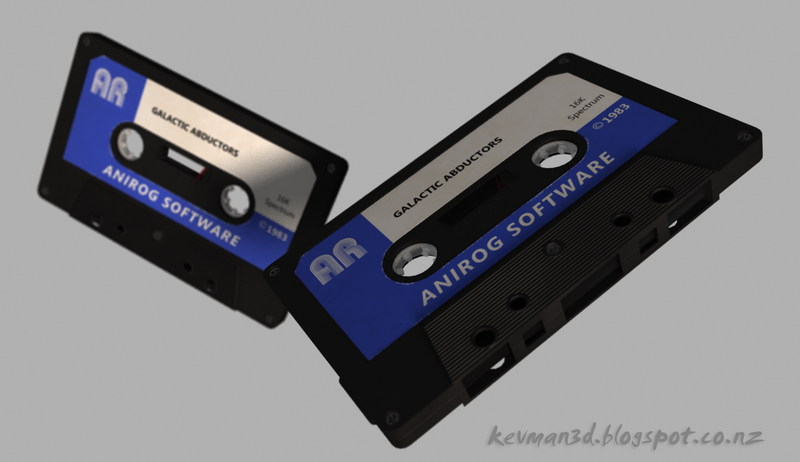 I also modeled a proper screw head as well, decreased the appearance of the length of tape inside (its only a computer game - usually those were like 10 minute cassettes) and added in the red leader to it. Overall, apart from perhaps a little more fine dirt or grunge here and there, I'm pretty happy with it. The plastic reels also look more like white plastic... A nice SSS shader with a good boost of Gamma to brighten it really helps sell that soft plastic appearance over the darker wax that I was getting originally. Just like a new one... Now, where did I put that cassette player?